Girl, don’t I know it. “We all need the D. Even me!” Yes we do, honey. Yes we do. 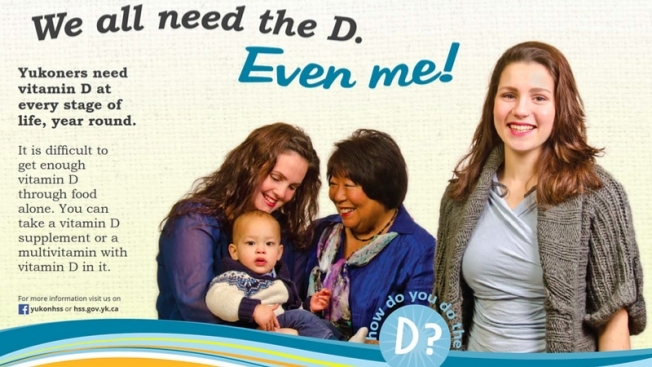 The Canadian public awareness campaign for VITAMIN D, YOU PERVERT was scrubbed soon after launch, and AdWeek has the details. Yukon’s Health and Human Services wanted to spread this information with ads promoting the vitamin’s benefits. The wording of the headlines was unfortunate, though, as lines like “How do you do the D?” and “Need a little help… with your daily D?” betray a lack of awareness about what “the D” means in slang.